With the Next Advance Stomper, you can crush tough material in seconds, with no cross-contamination. ALL THE MAGIC HAPPENS IN THE SAME TUBE. Use it with the Bullet Blender homogenizer* to process samples like soybeans, shells, and corn! 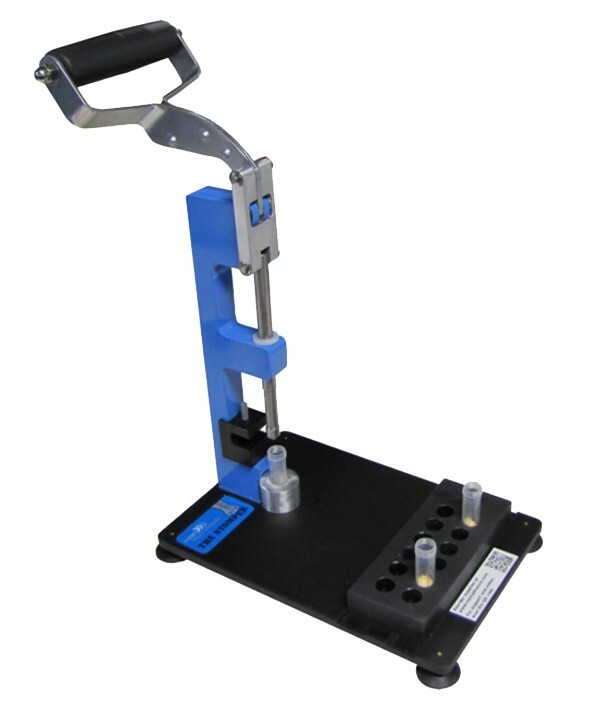 Have a tough dry sample you need to grind? Contact us for protocols and recommendations! Dried soybeans, mung beans, corn, rice, surghum, cloves, barley, spelt, sunflower seeds, wheat berries, chickpeas and more! The trick for many of these samples is a 10 second preparation step in which you pre-crack the hardest layers with our new Stomper in the same tube you will use for homogenizing. 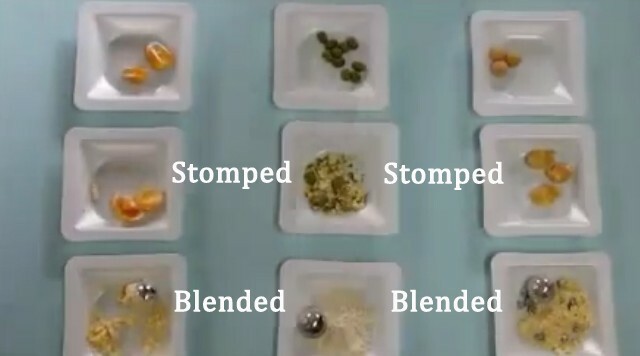 These stomped samples can then be efficiently homogenized with the Bullet Blender. You can take your samples such as whole beans all the way to flour in 5 to 15 minutes! Step 1: Place your sample in the tube. Step 3: Add grinding beads and homogenize in the Bullet Blender. Your sample will be a fine powder in as little as 5 minutes. The Bullet Blender 5 Storm isnt a one trick pony. Infact you have all the additional capabilities you would expect with any typical Bullet Blender system. You can work with a wide variety of samples from aortic tissue to mouse femur. Please see the video below for more details.